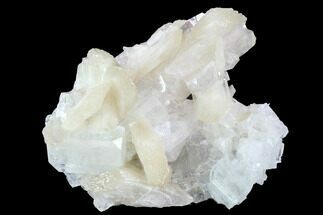 This is a gemmy specimen of zoned apophyllite and stilbite from Maharashtra, India. 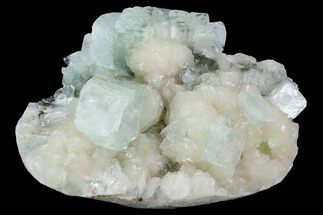 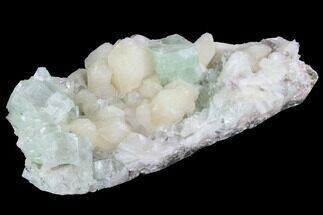 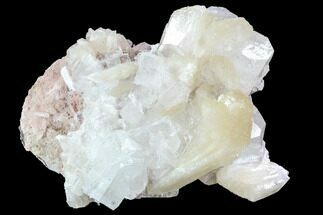 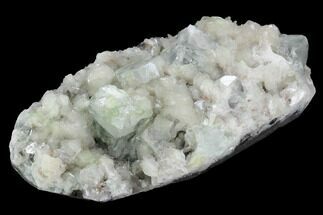 This mineral association consists of colorless, transparent zoning of excellent apophyllite crystals with a scattering of small, peach colored stilbite crystals. 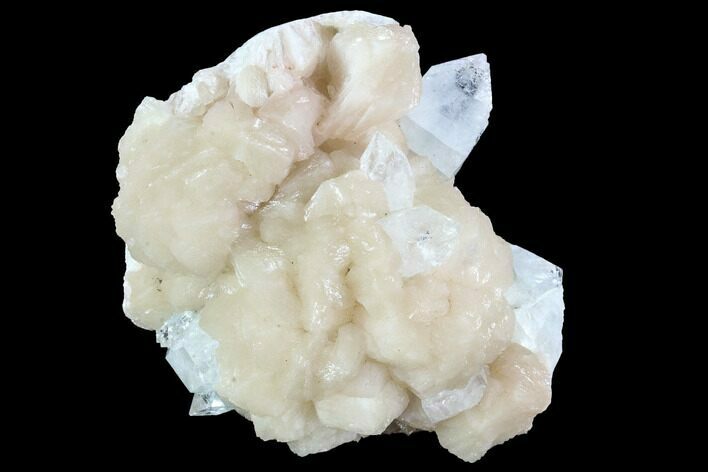 This specimen comes from the Deccan Traps (a large igneous province and one of the largest volcanic features on earth) in the Pune Province of India. 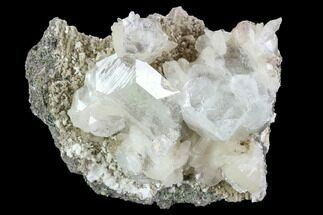 In the course of quarrying for other materials or digging wells sometimes large pockets of zeolites and other minerals are unearthed in the volcanic rock.